Warm weather is here, which means it’s time to take a break from Netflix and get outside. 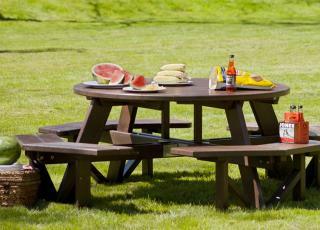 What better way to enjoy the glorious outdoors than with a picnic? Dunwoody, located just 10 miles outside Atlanta, boasts 170 acres of public parks. Our bright Southern sky and endless green space make Dunwoody a picnicker’s paradise. Whether you’re getting outside Atlanta to Dunwoody or spreading out a quilt in your own 170 acre backyard, use the below list to pack the perfect picnic. Then head outside and enjoy the outdoors with the ones you love — your favorite show can wait. Extra Sharp Cheddar: Doesn&apos;t melt that fast. Good with everything. Don&apos;t forget a knife. Brie: Mild, so it goes with a nice range of wines. Easy to spread. Gouda: Holds up well while jostling around in a picnic basket. Note: At least one of your guests will undoubtedly comment on how “gouda” your picnic spread is, so bring Gouda at your own risk. Mozzarella: Get those tiny mozzarella balls and slide ‘em on a stick with fresh basil and cherry tomatoes. Voila! You are a picnic pro. Where to get the best cheese in Dunwoody: Alon’s Bakery and Market. This charming European-style market has a selection of more than 120 varieties of artisan cheeses from international and local producers. Plus free samples from behind the counter! 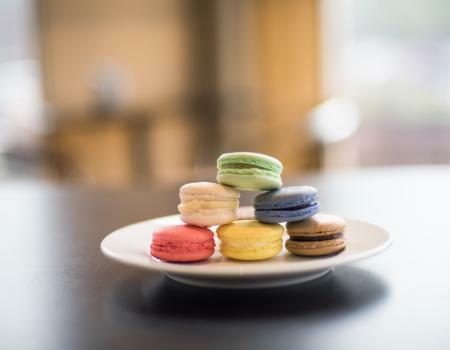 You can find crackers here, too, and macarons for dessert! Bonus: Bring along a jar of jam to spread on the crackers for a sweet treat. Emily G’s Jam of Love is a Dunwoody favorite for handmade jams and sauces that use fresh, local ingredients. We’re talking Cabernet Sauvignon jam and Roasted Red Pepper jam and Apple Pie jam. Wine is critical to the success of your picnic. If you want this shindig to last more than 30 minutes, you’ll need a couple good bottles of wine to loosen people up and encourage them to linger. All wine is welcome at picnics, but be sure to bring an ice chest along to chill white wines. Other helpful tips: don’t forget a corkscrew or you’ll never forgive yourself, and bring disposable cups. To really impress your guests, mix up a batch of refreshing sangria with fresh Georgia peaches. You can either slice peaches with other fruit into red sangria or go all out and make Peach Sangria. Serve ice cold. 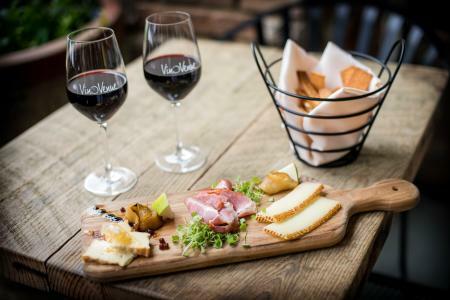 Where to get wine in Dunwoody: Stop by Vino Venue to pick up a bottle (or two) on your way to the park. This is a nice light snack that makes you look instantly fancy. Be sure to pack the tomato toppings separately from the toasted bread and assemble on-site, so nothing gets soggy. Here is a simple bruschetta recipe to follow. Pick up a fresh baguette for your bruschetta at Alon’s Bakery & Market in Dunwoody. Spiked watermelon is sure to be a crowd pleaser. On a hot, hazy day in the South, everyone appreciates a cold slice of watermelon. Infuse watermelon with liquor and your picnic will be a total knock-out. Most Spiked Watermelon recipes use either vodka or rum – here’s an easy recipe. Italian meats like Salami, Soppresata, Prosciutto or Pepperoni provide substance to your picnic spread and complement that beautiful wine and cheese display. A plastic knife isn’t going to cut it for hard meats like this, so don’t forget to pack a real one. You could also roll up sliced deli meats and stick a toothpick through it for easy snacking. 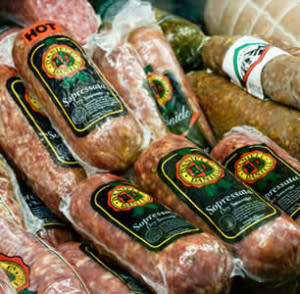 Where to get great meats in Dunwoody: Head to the family-owned Italian grocery E. 48th Street Market to get the best meats around. If you’re lucky enough to be planning your picnic in Georgia like we are, it’s a must to pick up a bag of fresh Georgia peaches to pass around the picnic blanket. No need to slice those beauties up or add anything to ‘em – Georgia peaches are perfect all on their own, so sink your teeth in and embrace sweet, sticky happiness. 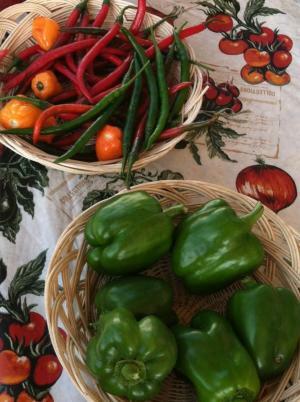 Where to find fresh fruit in Dunwoody: Try the Dunwoody Farmers Market located in Brook Run Park every Saturday through October, or Nell’s Produce Market, a vegetable stand on Jett Ferry Road, for in-season fruits and vegetables. Where to get picnic supplies in Dunwoody: Local purveyors Under the Pecan Tree and Enchanted Forest have fun picnic necessities like baskets, coolers, pitchers, blankets/towels, serve ware, et al, et cetera, et everything. Remember those 170 acres we mentioned? 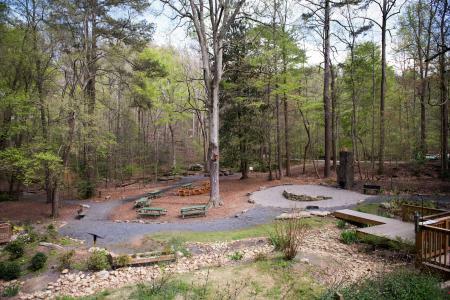 Dunwoody has seven parks with ample space for spreading out your picnic blanket and stretching out under the friendly Southern sun. If you’re here on a Thursday in the summer, head to Brook Run Park for Food Truck Thursdays, which will save you the trouble of packing food. Wherever you go in Dunwoody, you’ll have your pick of the best picnicking spots in Georgia. Use natural light: You’re outside! No flash needed, no filter needed. Capture the spirit of your adventure in its natural setting. Tag your photos with #OutsideAtlanta: If you’re picnicking in Dunwoody, use the hashtag and we’ll give you love on social. By love we mean retweets, reposts, shares, hearts, stars and excessively kind comments. Like us on Facebook to stay updated on all the best events happening around town. Share this article with all the friends you want at your picnic. You can copy the link and email them, or just post it on Facebook or Twitter and tag their names. Read more about all the great things happening #OutsideAtlanta. That’s it! You’re officially ready to picnic in Dunwoody. Save us some cheese!